If you're like us, you probably spend more on your bike than you do on most other aspects of your life (like groceries). 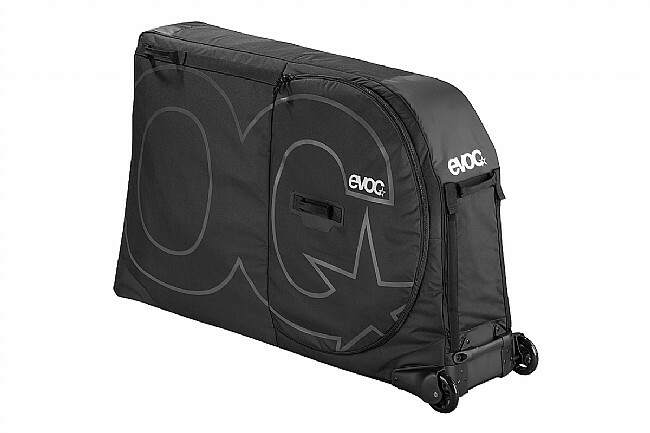 If you spend time traveling to ride or race your bike, you know how much of a pain it can be to get your bike safely to your next destination. 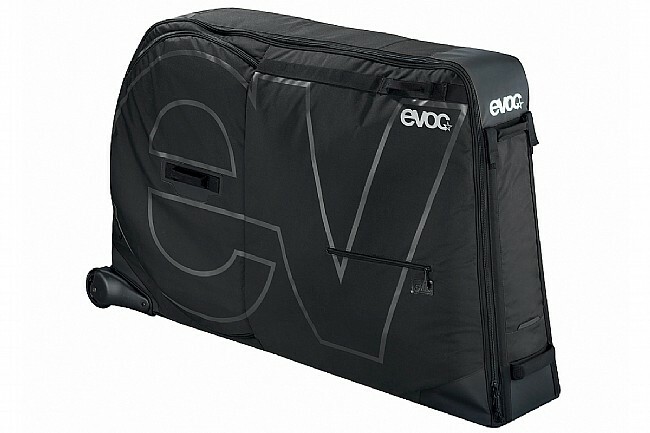 Protect that investment with the EVOC Bike Travel Bag, providing a durable softshell bike case to take the worry away from your next bike trip. 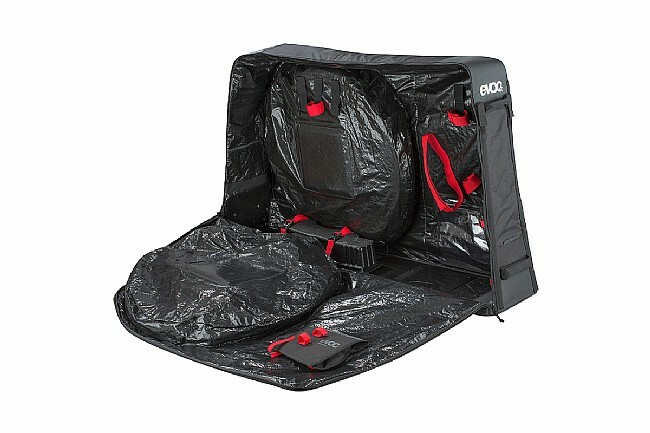 Constructed from ripstop nylon and featuring 10mm of padding throughout the case, this softshell case provides confidence inspiring protection for your prized steed. 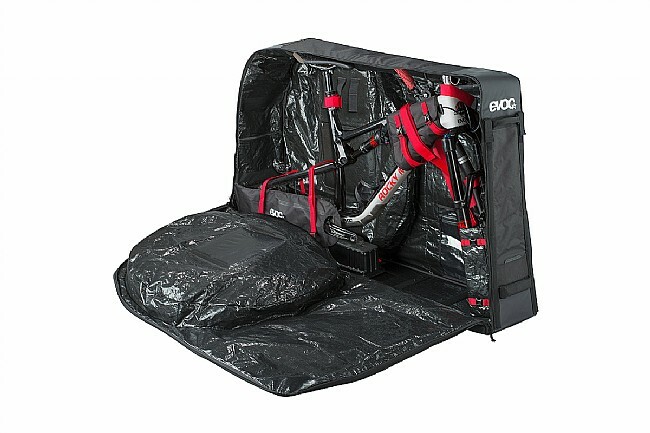 Simply remove the wheels, pedals, and your handlebars and strap your frame into the case using the dedicated hook-and-loop straps. 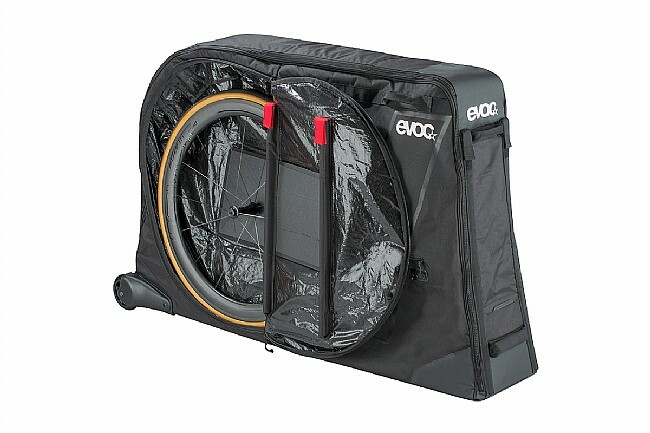 Two padded wheel bags keep your wheels separate from the frame to keep your finish scratch-free while simultaneously protecting the rear triangle of the bike. 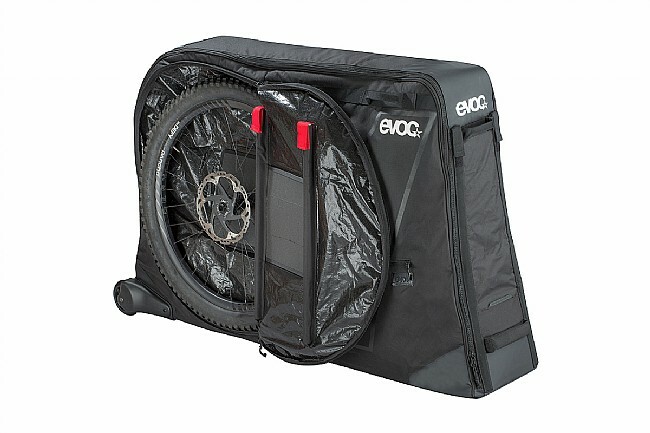 Two inline wheels and ample carrying handles make transporting the case through a train station or airport lobby easy. 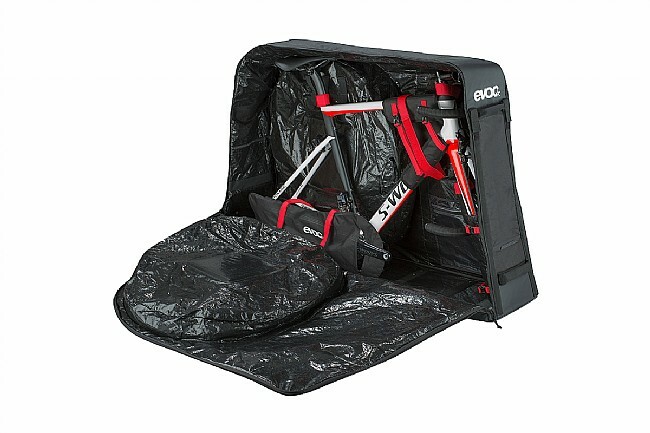 Once you get to your destination or back home, the EVOC Bike Travel Case folds down to just a third of its expanded size, fitting easily in a closet or under a bed.